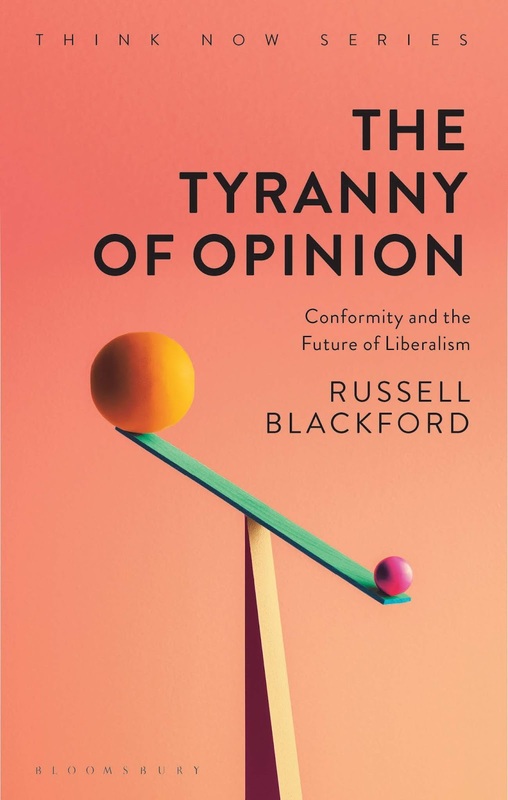 The Tyranny of Opinion was officially published a week ago, on 18 October 2018 (though with a copyright date of 2019 if you want to cite it). You can buy it from all the usual places, including Amazon, Amazon Australia, and Amazon UK. It's available in a number of formats including Kindle and an affordable paperback edition. I hope to see it receive some publicity in the next few days and weeks, in the sense of attracting reviews and discussion. Meanwhile, here are some relevant links. First, an article that I wrote for Areo magazine entitled "How did we become post-liberal?" This covers some of the same general territory as The Tyranny of Opinion, although there is little overlap. The article somewhat assumes the contemporary situation described in the book and asks how we got into it. The two should be seen as complementary, while sharing much the same style and view of the world. If you like the article, you'll love the book! One merit of the article is that it offers some explanation of why Americans use the word "liberal" in a different way from the rest of the world (look to the 1930s). 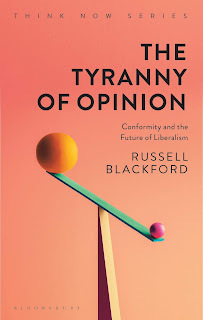 Second, the first review of The Tyranny of Opinion so far, by Russell A. Whitehouse (no, this is not me under a pseudonym despite the similarity of names). This is a favourable review, so I'll take it! My main worry with the review - the only worry of much substance - is that I don't see the book as about "political correctness" or "P.C. culture." Let me explain this briefly. My criticism of ideological purity policing on the Left is an important aspect of the book, but I also have much to say about authoritarianism and censorship from the Right. In my opinion, the Right has historically been, and in some ways still is, generally worse than the Left in disrespecting individual freedoms and especially freedom of speech and expression. Nonetheless, I am very concerned at the way the contemporary Left so often censors and harms its own. Therefore, I do call for an end to left-wing purity policing. I'd like to see the Left return to liberalism (i.e. to an emphasis on individual liberty & free speech) on social issues and to a focus on the problems and anxieties of people from the rural and industrial working classes. All of this fertile political territory has increasingly been abdicated for conservatives and right-wing populists to take over. Third, an interview about the book with the aforementioned Russell Whitehouse. In this interview, I take up the issue of political correctness, an expression that I distance myself from in the book, and the wider problem of political and social conformity (the book's topic). The interviewer raises various statistical issues with me, relating to some of the book's claims, and I give my answers. More generally, you might appreciate discussion of certain issues that are not specifically covered in The Tyranny of Opinion, but are certainly relevant the same political and cultural environment.